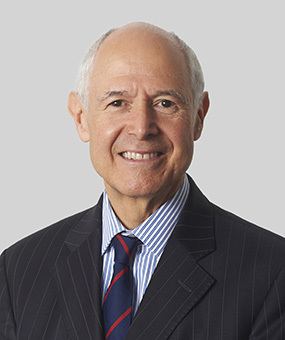 Dr Robert Gaitskell QC practises from Keating Chambers, specialising in technology, engineering and construction disputes, often of an international nature. He was called to the Bar in 1978, appointed Queen’s Counsel in 1994 and sat as a Recorder (part-time judge) from 2000-2010. Robert Gaitskell predominately acts as an arbitrator, adjudicator, dispute board member and mediator. He is both a lawyer and a professional engineer. He is the editor of ‘Keating Construction Dispute Resolution Handbook’ (3rd edition 2016); and a former Vice President of the IEE/ IET (Europe’s biggest professional engineering institution). He is a member of the Singapore National Electricity Market Dispute Resolution & Compensation Panel. Dr Gaitskell is the chairman of a dispute board for a Euro 20 billion nuclear energy project. He writes extensively and lectures throughout the world on legal/engineering subjects, including at CERN in Geneva and Xerox PARC in Silicon valley. Dr Gaitskell is currently acting as chairman or member of various ICC, LCIA, UNCITRAL, SIAC, KLRCA, EDF, DIAC, ICDR/AAA, Dubai RTA and other arbitral tribunals, dealing with matters such as oil and gas installations and pipelines, power stations, oil and gas plants, petro-chemical works, and other complex engineering and process projects. As examples, he is dispute board member in respect of high-technology international power project, Chairman of an Uncitral arbitral panel dealing with a Russian oil/gas processing facility dispute; a tribunal member for a Dubai construction dispute, and for a Korean infrastructure arbitration, and for a Qatari utilities dispute. He was the expert determinator for an Omani power station. He has recently mediated a Singaporean hi-tech dispute and chaired a tribunal dealing with energy pricing in S.E. Asia. He has also advised on a dispute concerning a Russian floating nuclear power facility. He was recently a co-arbitrator on an ICC panel dealing with a dispute concerning a sub-sea gas pipeline bringing energy supplies from Russia to Europe. He is also conducting an African mining arbitration, and chairing a dispute panel dealing with defence projects in the UK. He has recently advised the Corporation of London on a major structural project and represented the Isle of Man Government in the Privy Council in an infrastructure project. In addition to his practice at the Bar, Robert Gaitskell is a Chartered Engineer and Fellow of the Institution of Engineering and Technology and is a former Senator of the Engineering Council. He is also a Fellow of the Institution of Mechanical Engineers and a Fellow of the Chartered Institute of Arbitrators. Robert Gaitskell’s wide experience as an engineer, both in the UK and abroad, has included power generation, transmission, distribution and application, motor control and oil rig design. Robert Gaitskell has lectured on The University of London (King’s College and Queen Mary’s) LLMs in International Arbitration, dealing with Infrastructure arbitrations. Chambers & Partners’ directory consistently recommends him as a leading international arbitrator. He also regularly carries out expert determinations involving complex engineering disputes. He is Chairman of the IET/IMechE Joint Committee on Model Forms, which produces the MF/1-4 suite of contracts used for major electro-mechanical projects worldwide. His doctorate from King’s College London concerned standard form engineering contracts. He is a Bencher of Gray’s Inn and a former member of the Council of the Inns of Court (COIC) Tribunals Appointment Body. Robert has recently been appointed to the panel of mediators for the Japan International Mediation Centre in Kyoto (JIMC-Kyoto). Dr Gaitskell has conducted over 100 arbitrations, throughout the world. He regularly lectures on the subject, including for the ICC, SIMC, CIArb etc. ICC arbitration regarding disputes arising out of the construction of the Panama Canal (seat Miami). Chairman in an ICC Arbitration regarding a tunnel collapse at a hydroelectric plant (seat Miami). Member of arbitration tribunals dealing with inter alia, disputes concerning an under-sea fibre-optic cable, an Indian housing project, an Iraqi power station, and a Russian oil and gas project. Chairman of ICC arbitration tribunals hearing, amongst other things, multi-million pound disputes concerning offshore oil exploration, a Ukrainian infrastructure project and a US military facility. Sole arbitrator dealing with an Omani power station, a Caribbean hospital, a Middle East commercial building, an infrastructure project in the D.R of the Congo, a gas engineering plant and a Hong Kong public works project. Acted as adjudicator on over 50 major disputes relating to engineering, energy and infrastructure disputes. He is the named adjudicator in various Channel Tunnel Rail Link contracts, and has conducted a number of adjudications on this ongoing project. Regularly appointed by the President of the Institution of Engineering and Technology (IEE/IET) in respect of electrical and mechanical engineering disputes and by CEDR on domestic and international adjudications. Advised the construction industries in two foreign countries as regards the introduction of statutory adjudication, and lectures widely on the subject. More detailed information is available on request. Dr. Gaitskell is the chairman of the European ITER nuclear fusion project Dispute Board. He is an experienced Dispute Board (DB) Chairman who lectures and writes upon the process. Robert Gaitskell gave an International Chamber of Commerce (ICC) Lecture on Dispute Boards at the launch of the ICC’s DB Rules, and recently gave an ICC lecture on Dispute Boards. A paper by him on the subject is available on the Society of Construction Law website. He recently lectured at the Chartered Institute of Arbitrators on DBs. Robert Gaitskell is also the Editor of Keating Dispute Resolution Handbook (3rd edition 2016), in which he deals with the DB procedure in international disputes. acting as Dispute Board Chairman in respect of two major (£0.5 billion each) construction projects involving the British MOD. Both projects extend well into the future. Robert Gaitskell has carried out over100 mediations in the commercial, construction, engineering and intellectual property sectors; many abroad including Hong Kong, Taiwan, Singapore and South Africa. He is one of the Bar Council’s recommended experienced mediators at the Bar. He is recommended by ‘The Legal 500’ as a leading mediator. He has recently lectured in Singapore and at the IBA Vienna conference (2015) on oil and gas mediations. Recent appointments (drawing on Dr. Gaitskell’s status as a Chartered Engineer) concern a Zambian mine plant and a Middle East power station. Advised a European contractor on claims regarding power station desulphurisation conversion. Advised a major Scottish engineering contractor on delay and loss and expense claim. Advised the Corporation of London on a multi-million pound professional negligence claim in a complex engineering project. Advised on the decommissioning of a major UK power station. Represented a foreign government in the Privy Council in a sewerage project dispute. Advised a foreign government on a major national library project. Dr Gaitskell has worked in (amongst other places) the United States, Canada, Mexico, Denmark, Hong Kong, Malaysia, India, Poland, Singapore, South Africa, Mauritius, Switzerland, Belgium, Panama, France, New Zealand, Australia, Zimbabwe, Taiwan, Korea, Trinidad and Tobago, the Dominican Republic, Dubai, Oman and Abu Dhabi. Robert Gaitskell QC is a highly distinguished barrister in the field. He is a favourite among clients and peers, who “have no hesitation endorsing him”, and laud him as “undoubtedly one of the top construction arbitrators, with enormous experience” , further noting him as “unflappable and efficient”. Robert Gaitskell QC is “an excellent arbitrator” who acts in a broad range of international arbitration tribunals, working in high-value cross-border proceedings. "One of the premier construction arbitrators in the world: very experienced, efficient, patient and fair." "Without doubt one of the most sought after and experienced construction arbitrators." "He is an outstanding arbitrator in the field of construction with his temperament, his specialist knowledge and his expertise in engineering." "He is without doubt one of the premier construction arbitrators in the world." "He is experienced, efficient, a delight to work with and has superb technical knowledge." Webinar – “Mediation style”, Dec 2014. Webinar – “The Nuclear Option: A guide to avoiding dispute meltdown”, Dec 2014. Webinar – “Cost-Effective Construction Arbitration”, Sep 2014. New forms of energy: Nuclear fusion – Dispute boards for the ITER project: OGEL 10th Volume Special Issue, March 2012. ‘Trendsetters: Asia-Pacific Jurisdictions lead the way in Dispute Resolution,’ Penn State University, ‘Yearbook on Arbitration and Mediation’, 2012. Trends: dispute resolution in the credit crunch: Construction Law International (IBA) Robert Gaitskell QC Vol.6, Issue 3, October 2011. Construction Dispute Resolution Handbook 2nd Edition Editor: Robert Gaitskell QC May 2011, Thomas Telford. Mediation in three dimensions’, Construction Law Review 2010. Oil, Gas & Energy Disputes: Trends in Tough Times Robert Gaitskell QC 5 October 2009.
manage them without destroying your company Robert Gaitskell QC 27th February 2009 Building Magazine. Legal Update columnist for Engineering Management Journal. Editorial team member for Construction Law Yearbook. Nos. 1 -3. Publication on MF/1 model form: Power Engineering Journal Dec 2001. Publication on “Technological literacy in China: The international role of professional engineering institutions”, Cambridge Review of International Affairs Vol XIV No.1, 2001. Publication on engineering and scientific forensic experts, Engineering Management Journal Jan 2000. Publication on legal and other implications of information technology, Engineering Management Journal Feb 2000. Robert Gaitskell has lectured to a wide variety of professional audiences including the Xerox Palo Alto Research Center (California), the Chartered Institute of Arbitrators, the Society of Construction Law, the Engineering and Technology Board in Mauritius, the European Particle Physics Establishment in Geneva, the KLRCA in Malaysia, the SIMC and the IET in Singapore, and the New Zealand SCL. He has been visiting Lecturer at King’s College and at Queen Mary’s College, London. Dr Gaitskell is a Bencher of Gray’s Inn. He was also a member of the Bar Council’s Information Technology and Services Committee, and serves on various other professional committees. He is a Liveryman of the Worshipful Company of Engineers, and of the Company of Arbitrators and is a member of the Court of Assistants of the latter.